This is my desperate plea, asking everyone to stop the Donald Sterling bashing. There is no lack of public condemnation for Mr. Sterling’s racist rants. From the janitor to the President of the United States, the train ride to Donald Sterling’s crucifixion for his comments seems to have no boundary. There is indeed plenty, enough, too much public condemnation. Just last night, Sunday May 18, 2014, the Secretary of State, John Kerry, took a jab at Mr. Sterling during a commencement speech at Yale University, “You are … the most diverse class in Yale history. Or, as it’s called in the NBA, Donald Sterling’s worst nightmare.” Not to be outdone, the entertainment industry has joined the ride to Donald Sterling’s crucifixion; Justin Timberlake, receiving the Top Artist trophy, thanked “Everybody on Earth except Donald Sterling”. 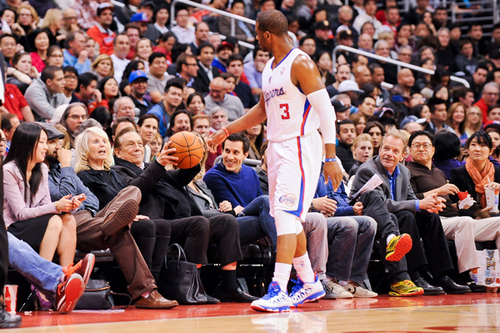 If Earth were to be visited by Martians, they would think Donald Sterling is the Devil. Well, he is not. What Mr. Sterling is guilty of is NOT to keep his mouth shut. As I mentioned in my previous posting, Mr. Sterling is the product of eras during which racial discrimination was accepted and practiced; he fails to keep up with time. That aside, the mass call to his crucifixion does nothing to remedy a systemic problem in our country. I have yet to hear a proposed solution from anyone – including the President of the United States – who has asked for Mr. Sterling’s head; a solution that would eradicate the problem from our country. If anything, the Judiciary Branch of government – The Supreme Court – has now ruled it Constitutional to practice racial discrimination. The Donald Sterling’s bashingza brings no comfort and solves no problem; maybe it happens to stimulate conversation about racial discrimination; maybe it happens to raise awareness that the problem did not get solved with Obama’s election to the highest office. Maybe it happens so that we as a society can figure out a solution, a real solution, a permanent solution to the problem. To Bash Donald Sterling doesn’t help an iota. Please, stop the bashing! Are you a Basher? Do you have a Solution to the Problem?